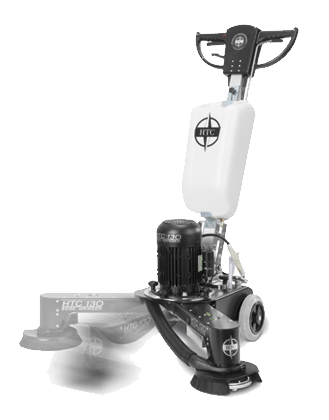 The HTC 130 can be used for both wet and dry applications to grind and polish concrete, granite, marble, and terrazzo. 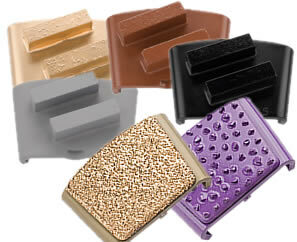 It is an excellent way to grind and polish your edges with ease eliminating back pain and sore knees. In addition, it is also a great tool for removing carpet adhesive, paint and filler. The HTC 130 is a highly versatile and convenient machine that works well in confined spaces. With the double water bubble levels and the adjustable grinding arm that can be set both vertically and horizontally. The HTC 130 is extremely simple to use. Now, the HTC 130 comes standard with the HTC 420 Grinding Holder allowing you to use the full range of HTC 420 Diamond Tooling rings on your HTC 130 Edge Grinder.